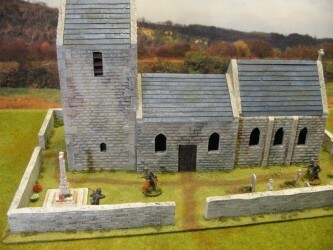 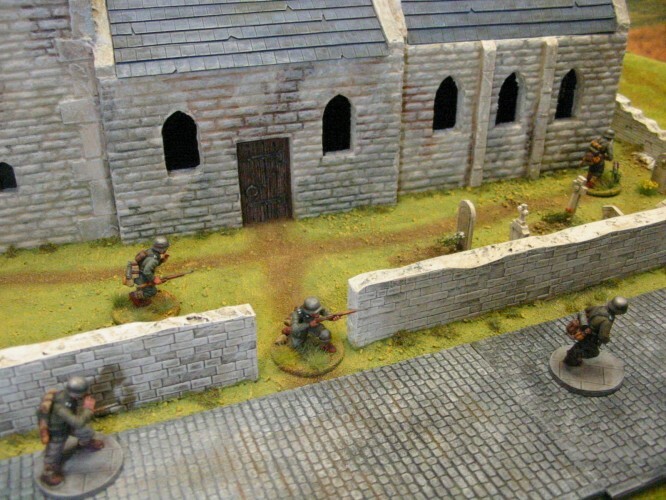 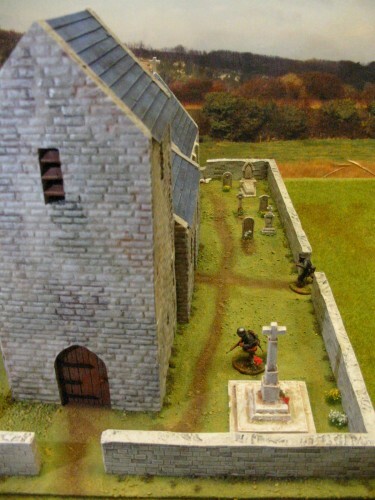 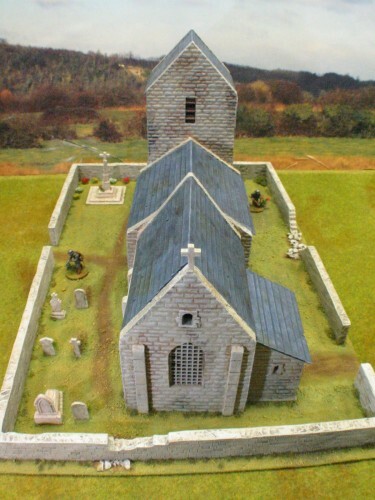 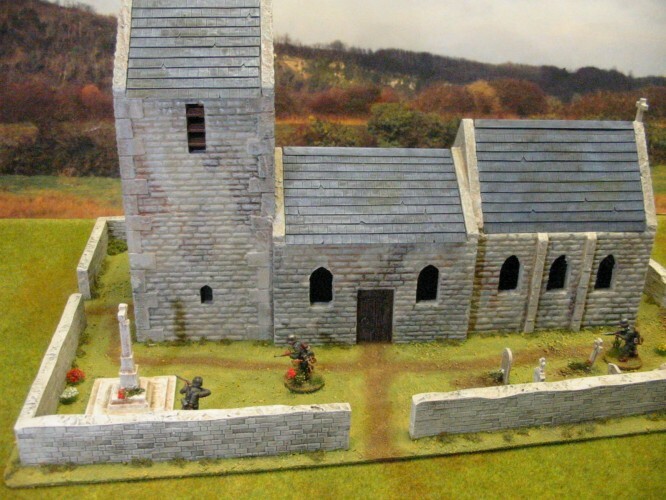 This large model church has been based on the church in St Omer Normandy, France. Suitable for use from 1700ad until the present day. All roofs are removable to allow internal access. 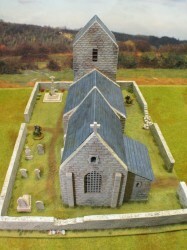 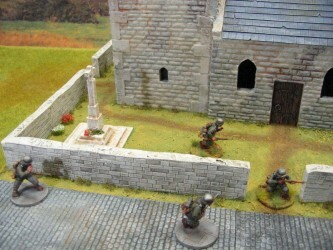 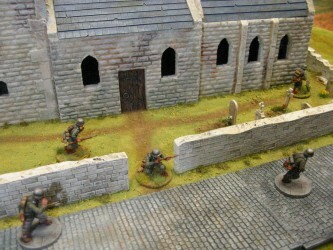 Available as a free standing model or with landscaped base (as shown). 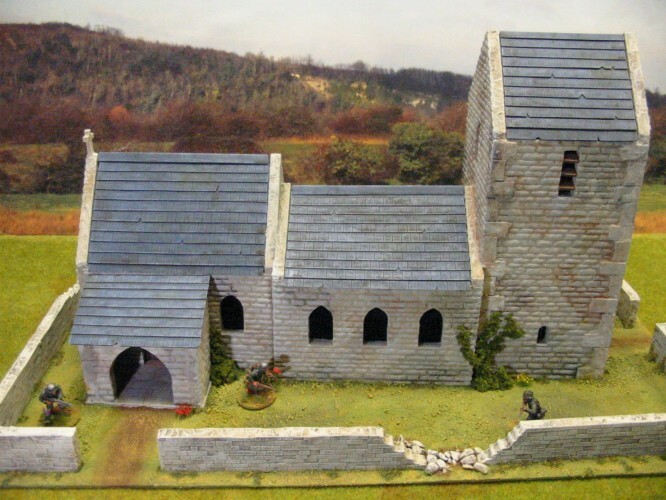 Scratchbuilt model supplied fully painted, detailed, weathered etc.